Hot or cold Zucchini soup, anyone?!? I love soups, the smoother they are, the better. So soups like garlic, broccoli, tomato…..and I can go on, I absolutely adore. And even better, is when a soup has the versatility to be served either hot or cold, making it an ideal dish year round. Zucchini Soup, is one of these soups! Simmer the stock and the courgettes together for 15minutes, on the stove in a deep saucepan or pot. Puree the above until smooth, via either your blitz stick (aka hand blender ) or smoothie/puree blender. Season to taste, by adding salt, freshly ground pepper and the nutmeg. Just before serving, remove from the that, and stir in the freshly chopped mint. this recipe makes approximately 3 litres of soup! Other ideas: This recipe works well in making pumpkin or butternut or sweet potato soup. The only ingredients you might need to tweak, is the quantity of stock and cream, so it’s as thick or as liquid as you want it to be! Also note, the boiling time of cooking the cleaned vegetables in the stock will take longer, most likely 25-35minutes. 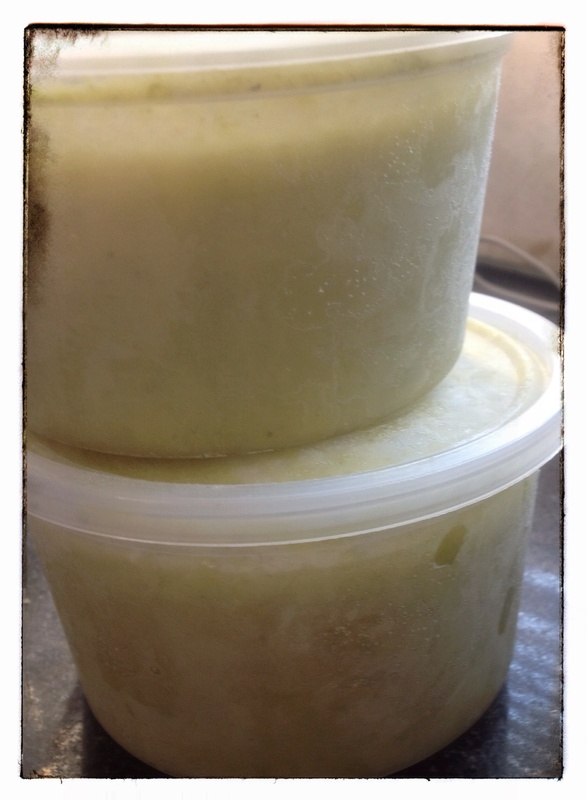 This entry was posted in LCHF recipes and tagged baby marrow, chicken stock, cold soup, courgette soup, courgettes, cream, hot soup, LCHF, soups, vegetable soups, vegetable stock, zucchini, zucchini soup by angelb38. Bookmark the permalink.